So I think you will all agree that Harry Moseley was an extraordinary young boy, who made such a difference to the lives of others and that work cannot now continue without your help and support, which can be offered in a number of ways. Do you have old shoes that no longer fit or that you no longer want/need? Don’t throw them away, take them to your nearest Footsteps for Harry Bin, where they will receive 35p for each pair. Not only that, but the shoes will then be sent to deprived areas of West Africa. So you are helping two causes in one! To find your local bin click here. Or if you work in an office or school and think you would benefit from having your own bin click here. Volunteer opportunities include helping out at HQ, doing street collections and even getting involved in making bracelets to sell and become a Harry’s Hero. HHHO have a wide range of fundraising ideas for you to get involved in, or why not think of your own idea! You can also check out their up and coming events on the website, and maybe take part in their up and coming Three Peaks Challenge on the 11th September. Do you work for a business who needs a new charity partnership. Then why not consider HHHO. They can help support your company in their fundraising needs and help you make the best of the partnership. Ways to get involved include, direct donations, team building, sponsorship – the list goes on. 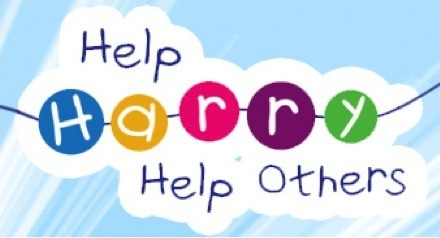 For more information on the ways in which you can get involved with HHHO, click here.